Singapore with its gorgeous skyline, beautiful parks and gardens, interesting theme parks and entertainment zones, and enormous shopping options has become a favourite vacation spot. However, not much attention is given to the northern part of the city-state. 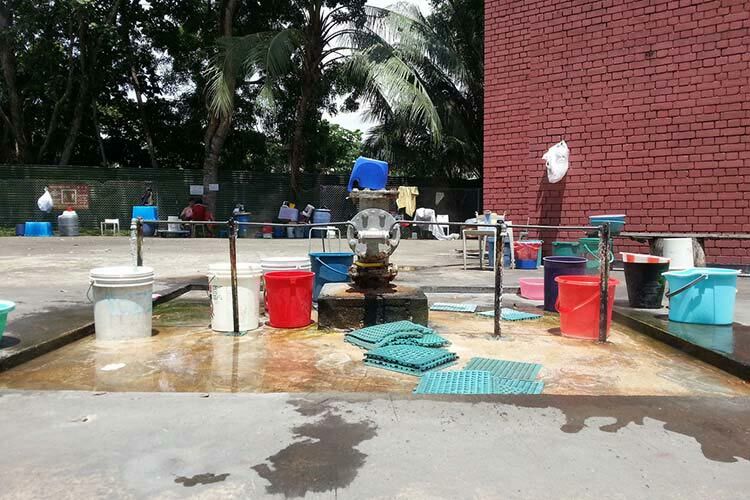 The main reason for this is that not many know what lies in this part of Singapore. Home to four neighbourhoods, the North of Singapore comprises of Woodlands, Admiralty, Sembawang and Yishun. 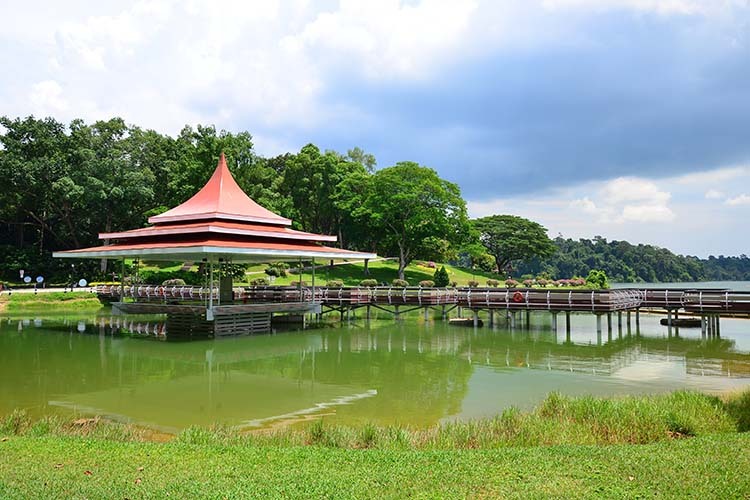 North Singapore is perfect for those who want to take a break from the hustle-bustle of the main city and want to enjoy nature, peace and tranquiltiy. Here are some of the best things to do in North Singapore. The North of Singapore is a true natural haven and the Sembawang Hot Spring is a proof of that. Situated in the northern tip of the city-state, this is the only place in Singapore where you would find a natural hot spring. The best part is that you do not have to pay any money for this jacuzzi-like experience. But beware as the water can be too hot and scald your skin. So, the safest way to enjoy this hot water spring is to soak your feet in the warm water. Apart from just enjoying the feeling of water on your skin, soaking in this water is believed to be healing due to its sulphide content. 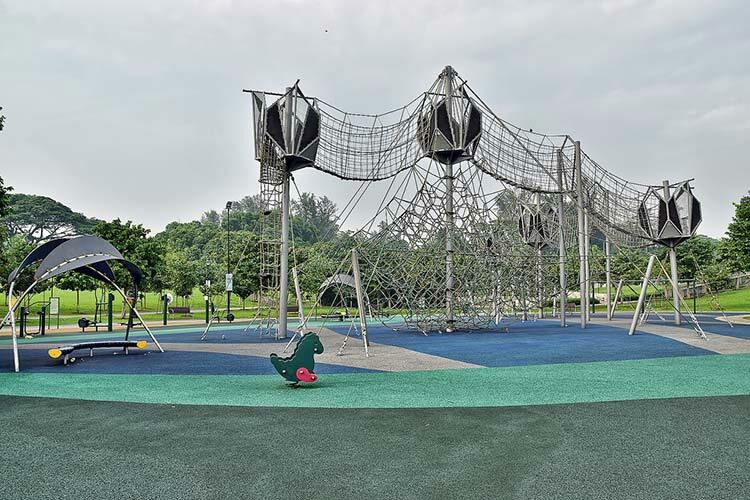 If you are tired of all the sightseeing and walking around in the city, the Lower Seletar Reservoir Park is a place to go to just relax. 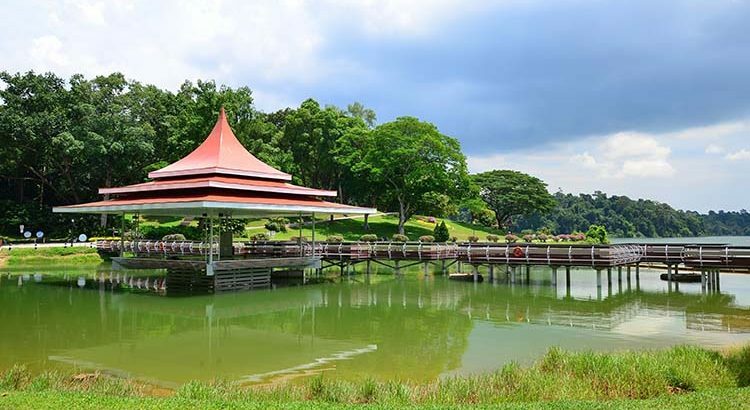 Located in the Northeaster region of Singapore, the reservoir park is absolutely beautiful and serene. Apart from having a picnic with your family and friends, you can also indulge in fishing, birdwatching and jogging here. The People’s Association Water-Venture outlet also offers some exciting water sports for those interested. The place also has shelters, jettys and restrooms for the use of visitors. If you are tired of the noise and crowd of the city, it is a must to visit Khatib Bongsu, one of the most beautiful places in North Singapore. Complete with flatlands and mangroves, the Khatib Bongsu River attracts people for its serve beauty. You can choose to cycle, jog or simply walk while enjoying the natural beauty of the place. It is also a great place for fishing. 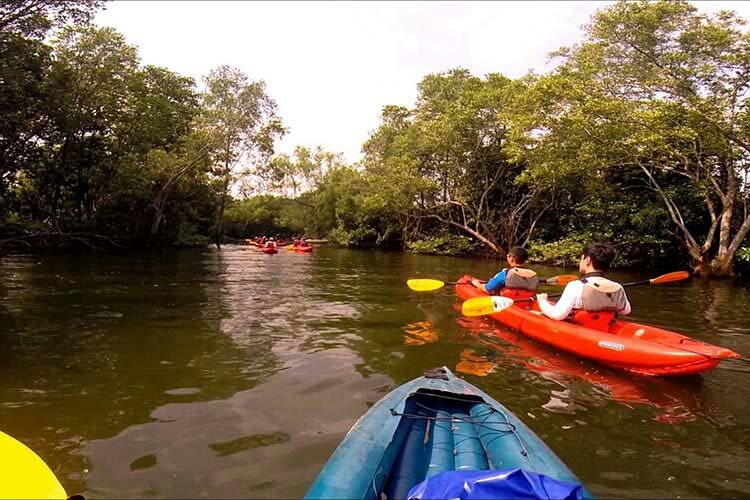 If you want to try something different, kayaking in Khatib Bongsu is definitely the best experience. The sound of swishing waters interspersed with that of different species of birds, it would surely be a surreal experience. 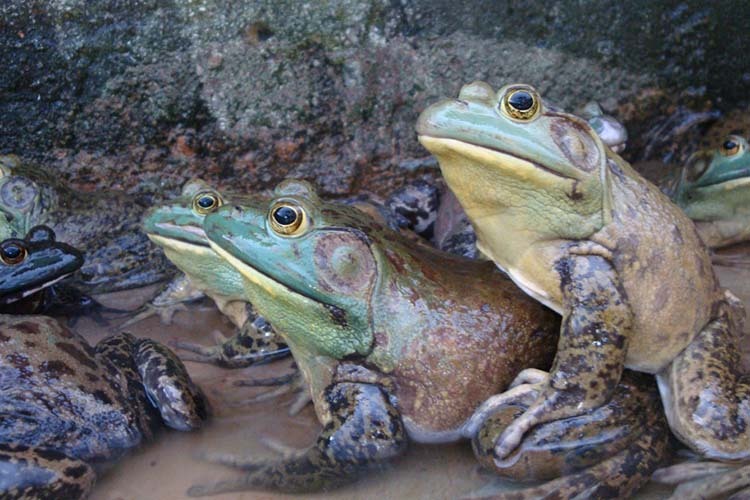 If you are travelling with children, one place that they would surely enjoy is the Jurong Frog Farm. Apart from looking at American Bufllfrogs and frogs of other species, you also get to learn about frogs including how to recognize a male frog and female frog. Other interesting activities include hand-feeding frogs, watching an all-male frog choir, etc. In short, this would be an informational tour as well. At the end, do not forget to taste some frog dishes available at the farm if you are interested. Kids love to spend time in adventure and water parks as well as entertainment zones. But whay not give them the chance to spend time in the outdoors along with some friendly animals. 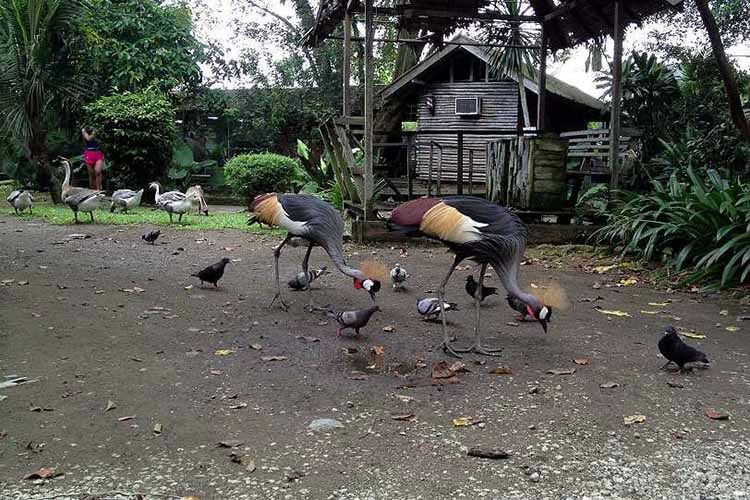 If you like this idea, The Animal Resort in Seletar West Farmway is a place you would enjoy. The inhabitants of this farm include hens, chicken, ducks, geese, birds, fish, pecocks, horses, etc. The best part is that they are not caged and you can easily interact with them. The farm allows visitors to feed the animals and birds (except the horses) and you can buy the food at the entrance itself. Apart from the food, you can also sometimes buy yourself a pet like a guinea pig or rabbit at the store. If you are looking forward to a fun evening where you can either exercise or simply walk and where your kids can play, the Woodlands Waterfront Park is the perfect place to go to. Complete with a state-of-the-art playground, a waterfront promenade, jogging and cycling tracks and rest shelters, this is a great place to hang out with friends and family. It is also perfect for those looking forward to a romantic evening with their partners. If you are a photographer, you would not be able to get enough of the beautiful panoramic views of the place. If all of these North Singapore tourist attractions have gained your attention, the next step is to get a Singapore visa from Dubai or every major city in the world. Once you get your visa, do not stick to the most popular Singapore points of interest. On the other hand, venture a bit to the northern area of the city-state. North Singapore not only gives you some unique places to see but also gives you the chance to take a break from the crowd in the popular places.